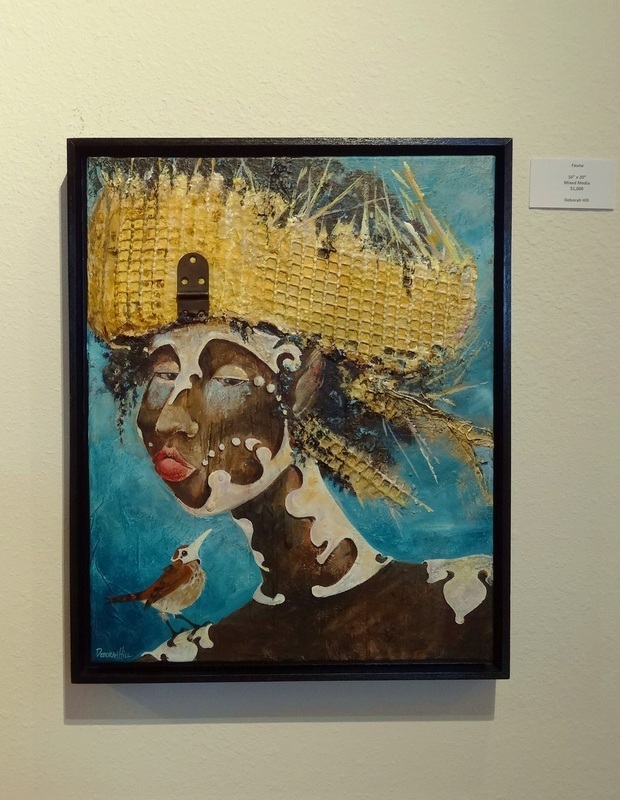 Mixed Media Artist Deborah Hill - Laughing Crow Art Studio is owned by mixed media artist Deborah Hill a certified Powertex instructor. 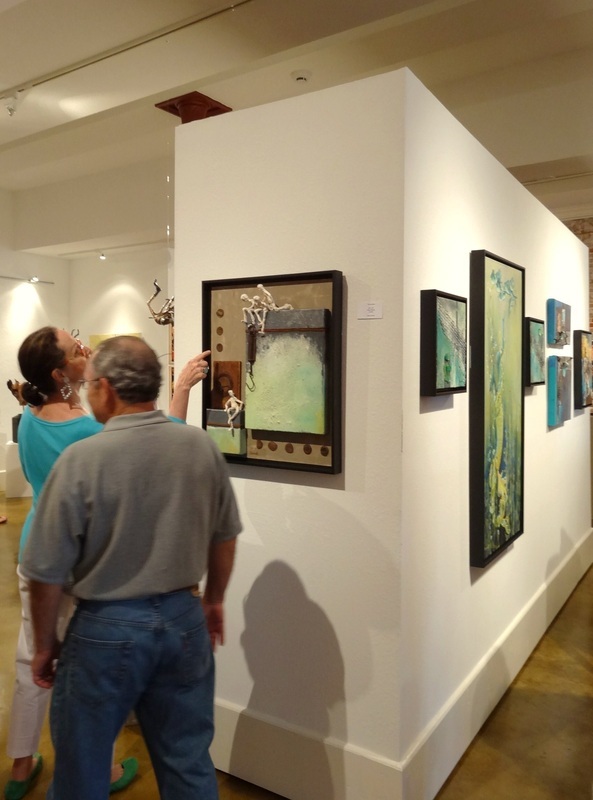 Third Coast Gallery, Galveston, Texas Re-Opens! 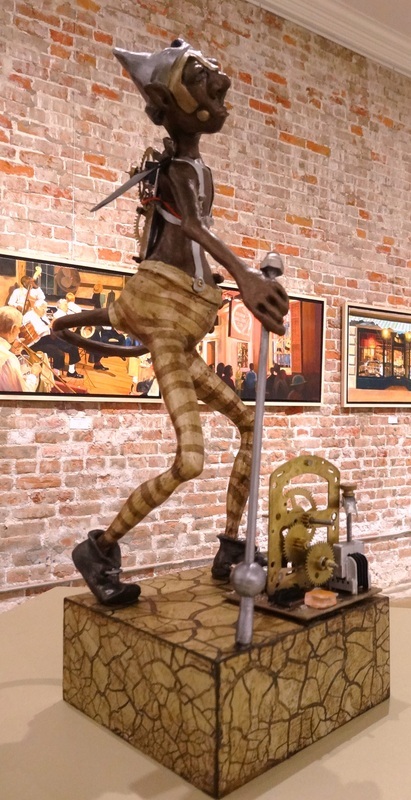 Third Coast Gallery returns to Galveston, Texas. 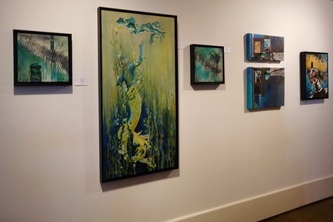 Located at 2413 Mechanic St in the historical district in a beautifully restored building, the gallery re-opened it's doors with a huge splash of color and form last night (June 1st, 2013) for the Galveston Artwalk. Accomplished oil painter and gallerist Jack Morris makes his return bringing in business partner and son Charlie. The gallery featured many fine artists new to the island representing a broad range of style and mediums. When Jack invited me to be a part of the show for it's re-opening debut I jumped at the opportunity. 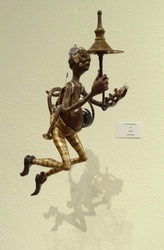 I have 12 pieces in the exhibit comprised of 7 paintings and 5 sculptures. They are expertly displayed and will be on view until the 10th of July along with several other personal artist friends from my area. It it such great fun to do a show with a group of artists that are my buddies, it has been a wonderful experience. A few shots of my work on opening night. 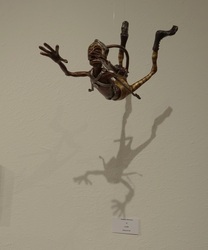 More of their work can be seen at the gallery but here are a few pics I took at the opening last night. What a diverse group! I hope you can make it out to see the show during its run! Now until July 10th and maybe get some beach time in too! Are you ready to diversify your skills? 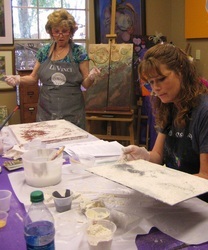 Learn to create a mixed media painting and/or sculpture using Powertex, Stone Art, and dry pigments. This is not a “project” painting. 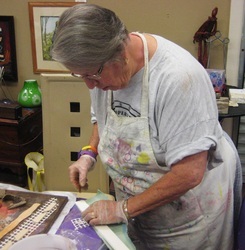 Students will render their own subject matter using techniques demonstrated in class. 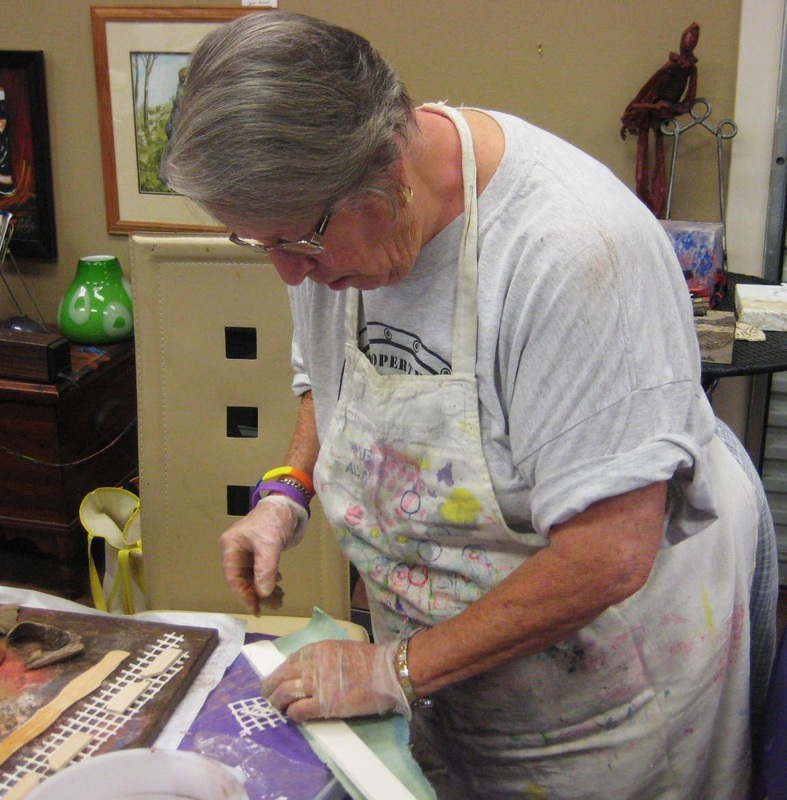 Powertex will be used as a base and as a medium combining dry pigments, paper, and other materials to develop dimensional mixed media artwork. For the sculpture project students will learn to build a supporting armature and create a unique figure. 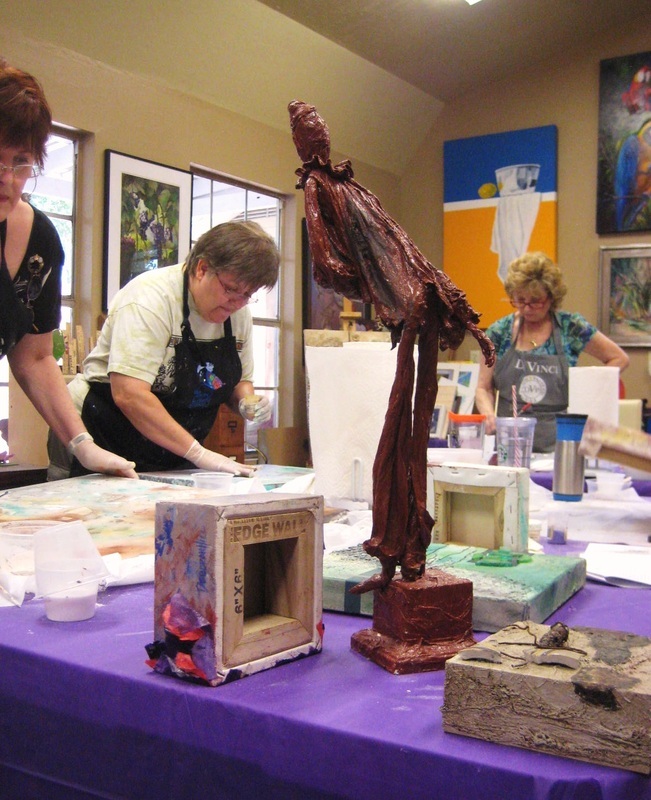 Whether you are a beginner or advanced artist who wants to add additional techniques to their tool box, this class is adaptable to your skill level. Figure sculpting with Powertex is easy and gets amazing results. 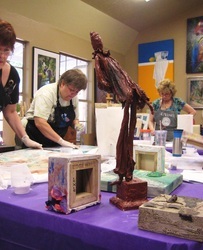 March 14th and 15th, 2013 is all about sculpture and building armatures to support a figurative piece of artwork using Powertex and epoxy clay as the medium. Discover a great way to express your art in 3D with versatile multimedia art materials. 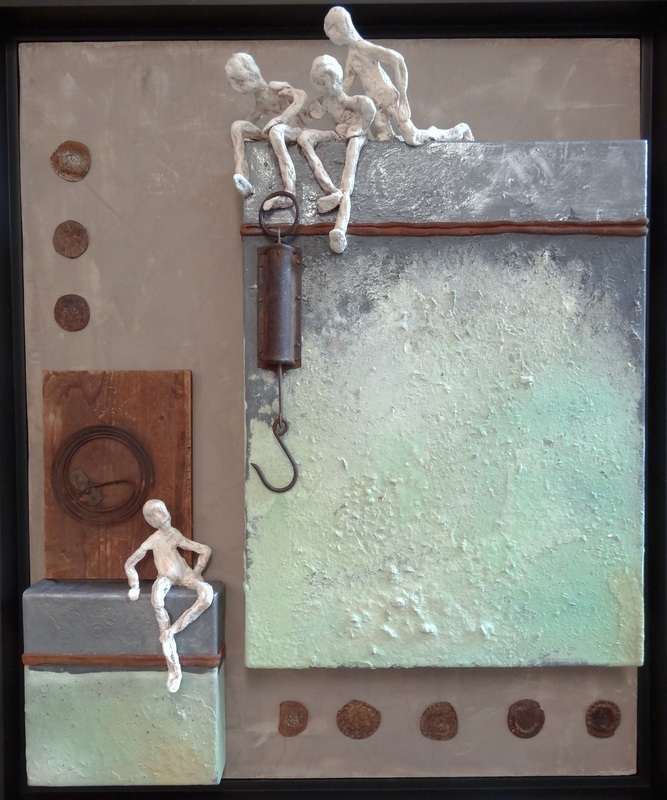 On March 16th and 17th the focus is on a canvas piece using Powertex as a base and medium, combining dry pigments, paper and other interesting materials to develop a mixed media artwork. Participants have the choice of registering for one session or both. For more information and to download the brochure for location and pricing just click the button below and download the brochure in the Powertex column. 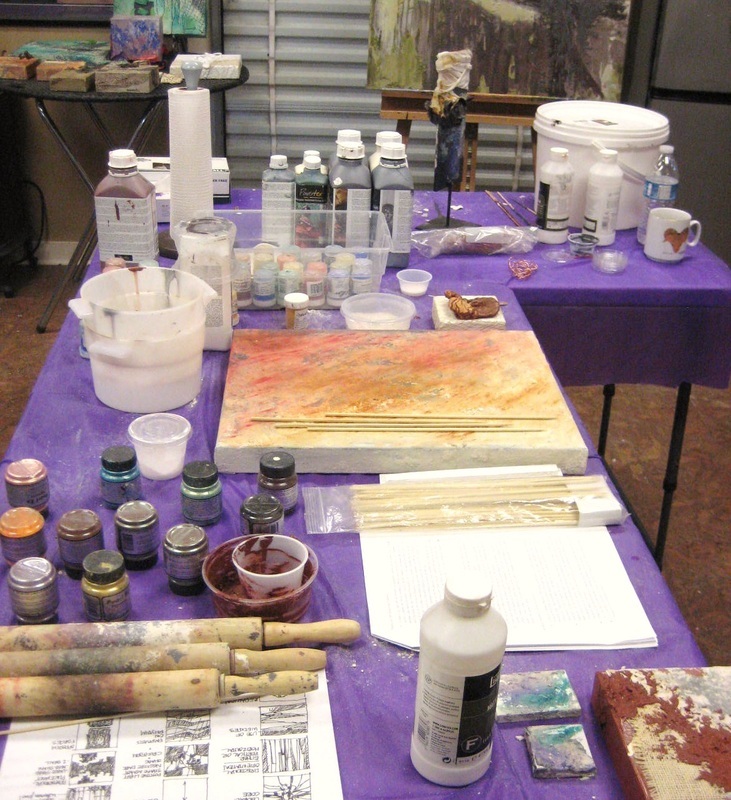 The husband/wife professional artists Jimmy and Sheryl McDonald will be graciously hosting the workshop in their beautiful studio. 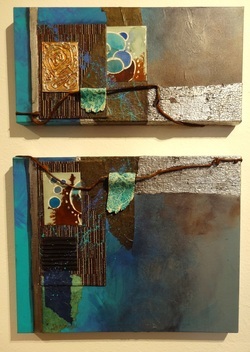 We will all have the rare treat of seeing their new work before they head out for the art circuit this season. 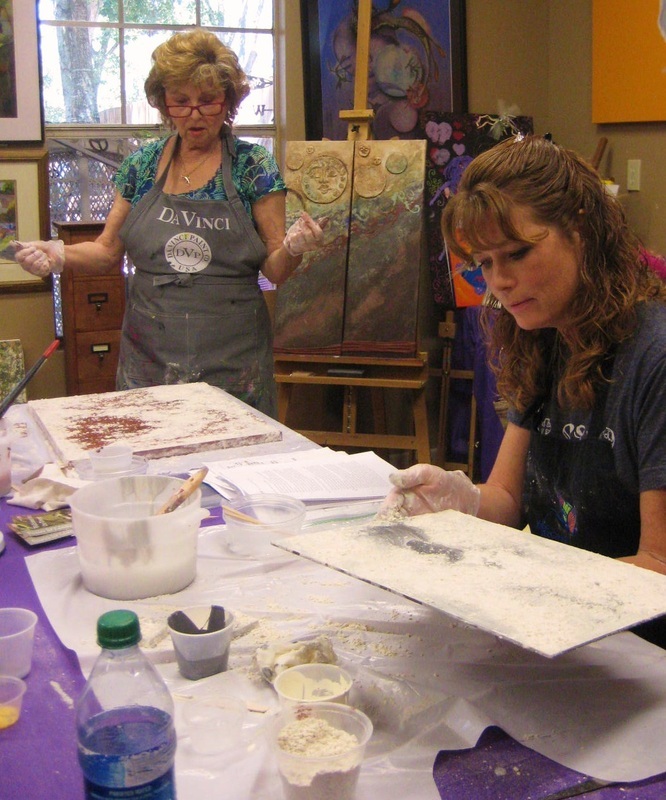 The Davinci Artists Gallery is an artist owned gallery in the heart of downtown Tomball, TX. 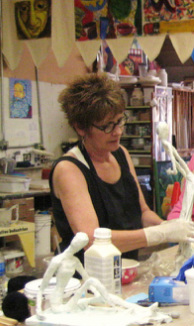 When visiting the gallery you are likely to catch one of the artists at work on a sculpture, painting, pottery or mixed media piece. Four new members were recently accepted into the cooperative, Melinda English, Reva Power, Jimmy McDonald and little 'ole me (Deborah Hill). I have great admiration for so many of the artists showing at DaVinci's and am delighted to be joining forces with this extremely talented group. 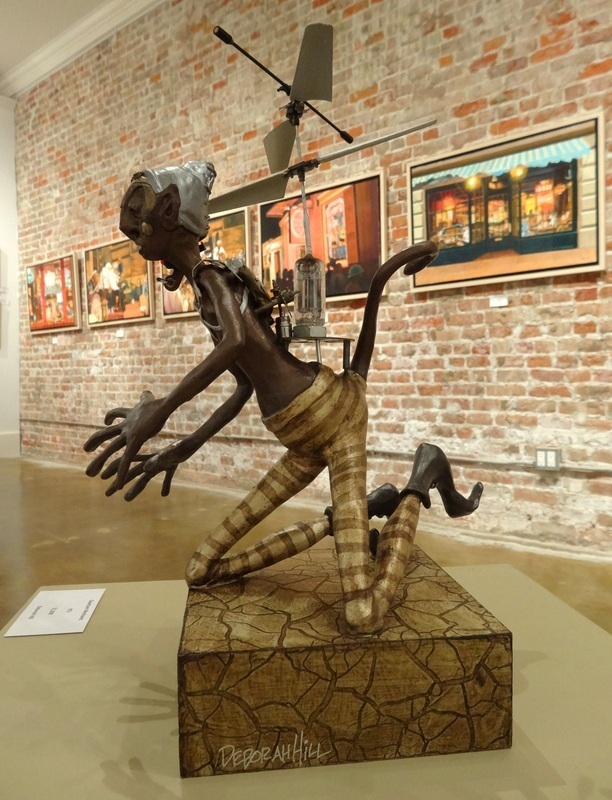 The first Friday of each month is the Gallery's open house in which two or three members are selected to be featured. 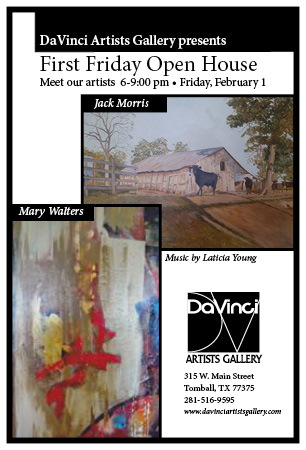 This months featured artists are Jack Morris and Mary Walters. The event is open to the public and is quite a nice little soiree with local music, wine and nosh. ... psst...it's usually a packed house. And of course the artwork is amazing, with almost 20 artists represented you know you'll find that special piece that needs to be part of your collection. 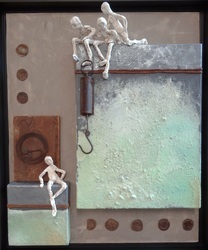 For the month of February I have several pieces of assemblage on display and new paintings too. Don't miss a visit-each month much of the art is rotated out and the group brings in new pieces. Open house is the best time to meet and talk with the artist. See you there! Evaluating the previous year has always been a challenge as I'm a stay in the moment sort of gal to a fault. Which means it is equally as challenging to make a plan for the upcoming year. Alas, I am forced to join everyone else and at least make an attempt to screw my brain back in after the holiday break to have a look at 2013. The only real disappointment is that we still don't have hover cars en masse. 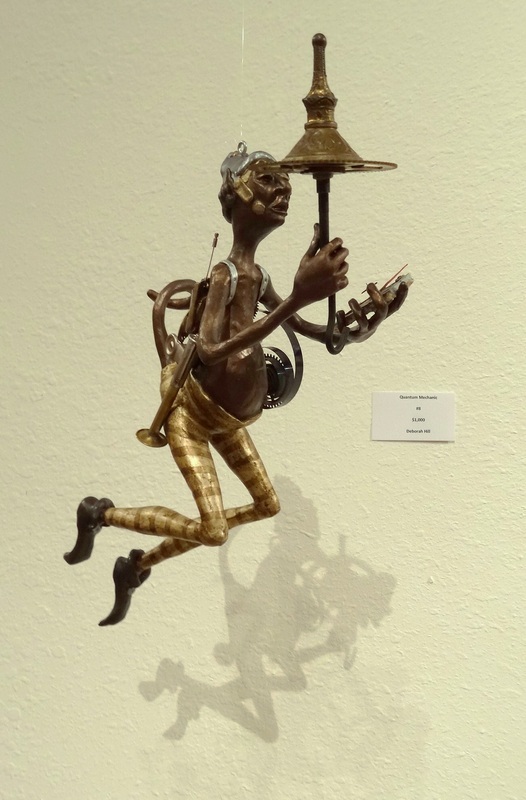 I sculpted more last year than ever before and the public and my peers responded positively. I think I will do more-just makes sense. The little studio is bulging at the seams, I took on private lessons in there and quarters are tight. A larger space came open in the same location. I think I'll take it-just makes sense. I've been invited to do a one woman show in a pretty prestigious location this year. I think I'll do it-just makes sense. More folks want to do more Powertex workshops with me. So yep I think I'll do that too-just makes sense. There are a few other things on my drawing board. I'm having a look at them and trying to make decisions based on how they fit with my lifestyle today. So in essence I guess I'm still staying in the moment and doing what-just makes sense. I wish all of you a very prosperous and thought filled new year. And if something just makes sense to you....go ahead and do it! 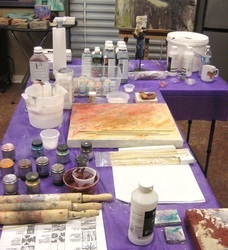 The texture workshop using Powertex art materials this past weekend was so inspirational. Each participant adds a dynamic to the work room that is benificial to everyone attending, including myself. Facilltating is twofold as I always seem to aquire new knowledge for my toolbox as well. 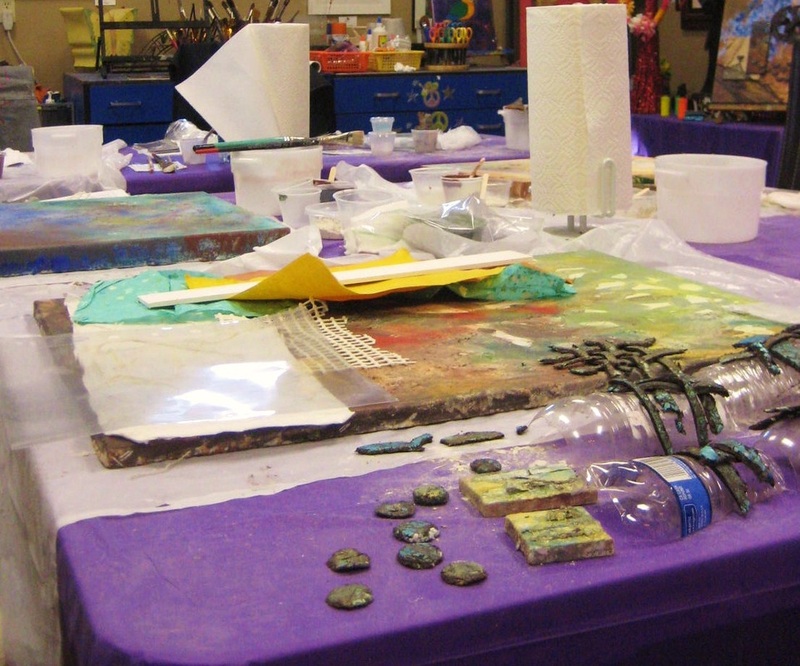 It never fails-put a group of artists in a room with materials and fresh approches to its use explode! It is a pleasure to teach these workshops and share with other artists the benefits of adding this innovative material to their artmaking process. Powertex is definitely a mixed media asset not to be missed. 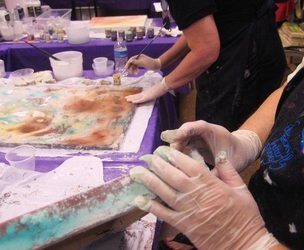 The first day techniques for creating heavily textured backgrounds are explored using Stoneart and dry pigments. 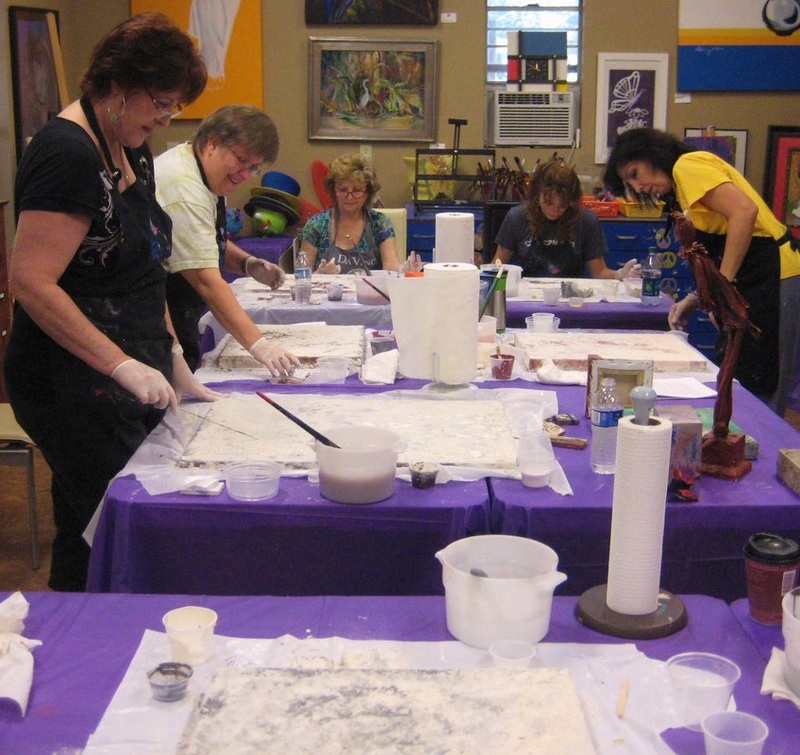 Participants learn how to mix clay from liquid Powertex and Stoneart and form design elements. Collage work and hardening paper are touched on and our canvases are left to dry overnight, ready and waiting for the next days work. Day two encompasses the qualities of Powertex as a fabric hardener, collage medium, painting medium, sculpting material and its many other applications. The different elements are brought together in one piece giving the participant a 'sampler' of usages to take home. We finish off with a group critique and go home with our heads jammed full of new ideas! The current 3D project has to do birds (of course). Here they are ready to be sealed using transparent Powertex to harden the paperclay. I built the armature from wire and foil covered in masking tape then fleshed everything out with the clay. As soon as it's all dry other components can be added. The idea sparked with plastic handles dismantled from an old gaming joystick. The handles looked like minature caps from some sort of mad scientist experiment, all that was needed was a figure underneath. Well, that's an understatement....I'll be adding a number of interesting oddities and paint and such. The Tweedle brothers, Dee and Dum, unpainted and wearing their caps. My intention is for them to be fixed together on a base that has as yet to materialize. The piece is long from being complete. Things show up for projects like this though, for example someone gave me a bag of gears from an old VCR just this week-perfect timing.